The categories are reviewed annually by the Executive Steering Group to ensure the competition reflects the span of skills and competencies that make you so great at what you do. It is important that you look at the role description and not just the category titles, because titles vary from company to company. We want to ensure you get the maximum benefit from taking part, by matching you with fellow participants with similar levels of responsibility. As a Clinical Research Co-ordinator (CRC) you play an important role in the success of the study. Your primary responsibility, as with all clinical research professionals, is the protection of research subjects through compliance with protocol requirements, applicable regulations and the standards of Good Clinical Practice. In addition, you serve in a critical role as the liaison between your site/investigator and the sponsor in delivering high quality research data. Your responsibilities will include, but are not limited to, co-ordinating and conducting clinical trials while following ICH/GCP standards at investigator sites and/or institutions under the supervision of your Principal Investigator. You act as the central point of contact for all involved with each study, including your organisation and the physician investigator(s), the sponsor/CRO and patient volunteers. Other likely CRC responsibilities will include: developing and executing subject recruitment strategies; the enrolment of trial participants; following subjects throughout the trial to collect the necessary data; responding to the needs of clinical research monitors, project managers and other sponsor/CRO research team members; providing audit ready data to the sponsor/CRO; and ensuring that all regulatory-required study updates to both internal and external teams are accurate and timely. As a Clinical Research Associate (CRA) working within a Sponsor or CRO company, your role is defined by Good Clinical Practice under ICH/GCP. You perform a variety of clinical operations and monitoring activities including study planning, development, study conduct, closeout and post-study. Traditionally, CRAs visit and work with the investigative site staff to ensure proper study conduct, compliance with the clinical trial protocol, adherence to SOPs and ICH/GCP, and the timely generation and collection of quality data. The protection of research subjects and the validity of the data during the course of the clinical trial are central to your role as a CRA. Your responsibilities include the recruitment of potential Principal Investigators, clinical trials management of site performance and patient recruitment along will being the main line of communication with the investigative site and the Sponsor or CRO company. In this New CRA category, you should have at least one year of actual monitoring experience. Your responsibilities include the identification and recruitment of potential Principal Investigators, clinical trials management of site performance and patient recruitment along being the main line of communication with the investigative site and the Sponsor or CRO company. As an experienced CRA, your responsibilities may extend to interviewing, training and mentoring New CRAs and other members on the clinical team. As the Clinical Trial Manager (CTM), you have overall responsibility and management of the clinical operations for a clinical trial. This role comes with a variety of titles across organisations – Lead CRA, Clinical Team Leader, Clinical Operations Lead . The CTM works with the Project Manager and CRAs in the execution of clinical trials and is integral in creating and implementing tools and templates to efficiently and effectively perform clinical trials as well as ongoing management of the study team. The CTM may work for a CRO or sponsor organisation. You are responsible for the delivery of the trial in accordance with the agreed project deliverables and may be working on a single trial or multiple trials across one or more geographic regions. The Project Manager category will include Project Managers working in CRO or sponsor organisations. 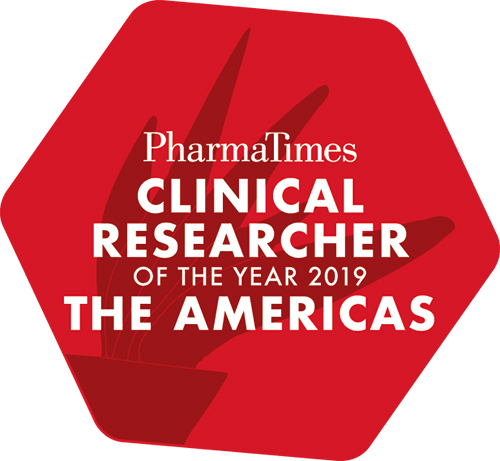 The PharmaTimes Clinical Research Company Team of the Year recognises teams made up of 3-6 individuals, preferably with different roles, from the same company or organisation. An example of a Company team would be a team made up of 1 Project Manager, 1 CRA, 1 Clinical Lead and 2 Data Managers from the same company. The PharmaTimes Clinical Research Strategic Partnership Team of the Year recognises teams made up of 4-6 individuals from two or more companies or organisations (CRO/Sponsors/Site/Vendors/Industry entities) with minimum of one member from each organisation. An example of a Strategic Partnership team would be a team made up of 1 representative from a sponsor, 1 representative from a site, 1 representative from a vendor and 1 representative from a CRO. The PharmaTimes Clinical Research Site of the Year recognises teams made up of 4-6 individuals with their primary role based at a single research site, site network or site management organization. An example of a site team would be a team made up of 2 Clinical Research Co-ordinators, 1 Data Co-ordinator and 1 Principal Investigator.